Alright. This will be my last question. If you could say one thing to those that have played Smash Bros., as well as to those that haven’t, what would it be? Hmm, let’s see. To those that have......I hope you play it. To those that haven’t......I hope you play too. Seriously though, what can I say? Personally, I don’t like to make a distinction between those that have and those that haven’t. I mean, we’re only on the third title in the series and whether or not you’ve played a previous version is not that important. How about I try a more open-ended question? How do you feel now that development is finished? 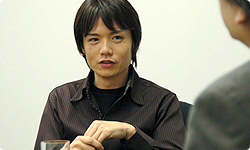 I strongly believe that Super Smash Bros. Brawl owes its development to the efforts of the numerous individuals who were in the right place at the right time. What I’m trying to say is that it is truly the product of these myriad, almost fateful associations. I want players to enjoy this game as one whose development would have been impossible under any other circumstances. And not as a mere continuation of the series, but as a game that couldn’t have been made anywhere else under any other conditions. The appeal of Smash Bros. lies in the fact that it offers ever-changing entertainment born of chance and player improvisation, and it’s my sincere hope that players enjoy these features of the game. I see. I may be reiterating what you’ve already said, but I believe that playing Smash Bros. is truly a once-in-a-lifetime experience. Its gameplay offers a unique experience each and every time you play. I think Super Smash Bros. Brawl is designed to maximise a player’s ability to take advantage of this once-in-a-lifetime encounter. Whether it’s the high level of improvisation, the receipt of the stage of the day or the ability to battle random opponents, this game uses features like these and others to reinforce this once-in-a-lifetime philosophy and I hope that our players make the most of it. Keeping with the once-in-a-lifetime theme, I truly believe that Super Smash Bros. Brawl acts as a nexus for many things. This is evident in its online aspect, as well as the fact that the game links so many characters together. Even the development team itself is comprised of members that came together unexpectedly solely for this project and that will leave once it’s complete. That’s right. This is a project filled with characters, music, project staff and players too. In all cases, I think there’s a barrier that eventually prevents us from coming together. Think of the pressure you feel the first time you play someone online for example. 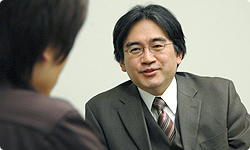 Or, the pressure, including awe, I felt when asking musicians I respect to arrange music for this game. Once you’ve tried it, however, you realise it’s not as scary as you thought. Because once you play, you realise the person on the other end is no more than another person with whom you can enjoy the game. 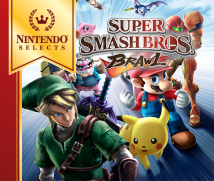 Super Smash Bros. Brawl is simply the point of connection for the development team, our contract staff, the characters and our players. The fact that Smash Bros. Brawl is a place where everyone can have fun doesn’t change one bit. So I don’t think there’s anything for anyone to be hesitant about, or to feel any pressure over at all. Well then, I hope all our players are ready to give it a try. Thanks for joining us today.